Summer is here, which means it’s time for fun in the sun! But before you head out into the great outdoors, you’ll want to remember to put on sunscreen. Skin cancer is the most common kind of cancer in the United States; one in five Americans will be diagnosed. 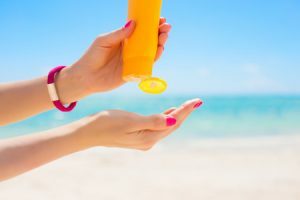 But using sunscreen daily dramatically reduces your risk of developing skin cancer, especially melanoma, the most dangerous type of skin cancer. While that is reason enough to lather up, there are many other reasons why sunscreen is so important. Using sunscreen helps to keep you looking young. It slows the aging of your skin, staving off those pesky wrinkles and leathery texture. Sunscreen also helps to keep the tone of your skin even and prevents brown spots and skin discoloration. No matter what your skin type, wearing sunscreen can help keep you healthy. It can even protect you from heat strokes and heat exhaustion when used in conjunction with other precautions like increased water intake. Sunscreen is more convenient than ever! From sprays to lotion to makeup products with sun protection factor (SPF), it has never been easier to incorporate sunscreen into your daily routine. Make sure to apply sunscreen thickly and thoroughly, thirty minutes before sun exposure so it has the chance to absorb and reapply after swimming or exercising. When buying sunscreen, pick a broad spectrum option that protects against UVA and UVB rays and has an SPF of at least 15. Once you have applied your sunscreen, head down to Virginia Beach and check out all the outdoor fun Dockside Seafood & Fishing Center has to offer! 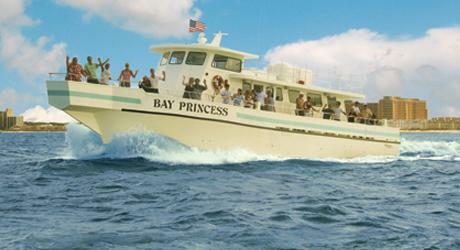 With the best fishing trips and dolphin watching cruises around, Dockside has something for everyone. Call today to make a reservation!